Michael Power » FATCA: Charter Challenge? The federal government has now solved a major problem for Canada’s banks by entering into an intergovernmental agreement concerning FATCA with the United States. The details about the privacy implications of FATCA can be found in previous posts here, here and here. With this agreement, the “end game” of FATCA compliance for Canada appears close at hand and there’s an important privacy lesson in it for Canadians. The core issue for me was how could Canadian banks comply with Canadian privacy law and avoid the punishment meted out to their US operations for non-compliance with FATCA? The federal government’s response – similar to that of other countries – was to negotiate an intergovernmental agreement. Our government will collect and then provide the necessary information. This would be accomplished through information exchange arrangements allowed under existing agreements such as the Canada-U.S. tax treaty. This solved the problem for banks but really did little for the privacy concerns of individual Canadians. The Department of Finance has issued a FAQ, which you can find here and there are two aspects to note. The first is the list of benefits, reproduced below. I’ve edited it slightly but you can see the full list in the Finance FAQ. 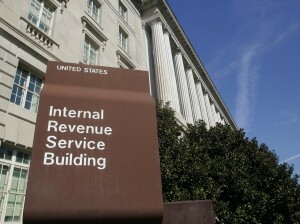 “• Canadian financial institutions will not report any information directly to the IRS. Rather, accountholder information on U.S. residents and U.S. citizens will be reported to the Canada Revenue Agency (CRA). • The 30 percent FATCA withholding tax will not apply to clients of Canadian financial institutions, and can apply to a Canadian financial institution only if the financial institution is in significant and long-term non-compliance with its obligations under the IGA. • The FATCA requirement that Canadian financial institutions be required to close accounts or refuse to offer services to clients in certain circumstances will be eliminated. • A number of accounts will be exempt from FATCA reporting, including Registered Retirement Savings Plans, Registered Retirement Income Funds, Registered Disability Savings Plans, and Tax-Free Savings Accounts. • Smaller deposit-taking institutions, such as credit unions, with assets of less than $175 million will be exempt from reporting. One has to admit the exemption of a number of types of accounts and small institutions is privacy-friendly. However, also note the agreement now feeds CRA with American data on Canadian taxpayers and their American bank accounts. A cynical reader might call this taking advantage of the situation. Note the language “consistent with Canadian privacy laws”. Since the financial institutions will likely be “required by law” to provide such information, they may do so without the subject individual’s consent pursuant to exceptions found in s. 7 of PIPEDA. The government may then disclose it to the American authorities pursuant to exceptions found in the Privacy Act. The privacy lesson of this story? Public sector “privacy statutes” in Canada do little to impede governments with respect to with what they want to do with personal information. People often think they have privacy “rights” but really do not unless it is a Charter matter. The Finance FAQ does not speak to the “privacy” of Canadians but rather consistency with Canadian privacy laws. As those with dual citizenship will find out, “consistency” with Canadian privacy laws does not equate to protection of privacy interests. The language in the FAQ is technically correct: there is no protection of privacy here but rather non-violation of privacy legislation. I have not seen the actual text of the agreement but there has been no suggestion in the press that the deal is limited to U.S. residents. If one agrees with Peter Hogg’s assessment (see FACTA Revisited), this may pose an inconsistency with the Charter of Rights and Freedoms. This begs the next question. Will someone challenge this agreement using a Charter argument? If yes, FATCA may remain in the public eye a little bit longer. 4. (1) Subject to subsection (2), in the event of any inconsistency between the provisions of this Act or the Agreement and the provisions of any other law (other than Part XVIII of the Income Tax Act), the provisions of this Act and the Agreement prevail to the extent of the inconsistency. (2) In the event of any inconsistency between the provisions of the Agreement and the provisions of the Income Tax Conventions Interpretation Act, the provisions of that Act prevail to the extent of the inconsistency. Four lawyers have told me this means this new law for FATCA will prevail over all other federal laws except the Income Tax Convention. I never thought I would see the day when a Canadian government would sacrifice long-held Canadian values and laws for any foreign government. In addition, the Conservatives are boasting what a great deal this is for Canada. They say privacy issues are addressed because information will go to CRA to submit to IRS. That may allow banks to circumvent privacy laws, but it simply is an even greater violation of privacy rights for Canadians. I hope privacy lawyers like you are as outraged as Canadians affected by this are. Please join us in any way you can in helping with a Canadian Charter Challenge. Grouchy and Mad has provided a link to the site.